Never burn your hands on a hot coffee cup again! Or if you're a fan of iced coffees, these cozies will keep your hands from freezing and your drink from sweating! 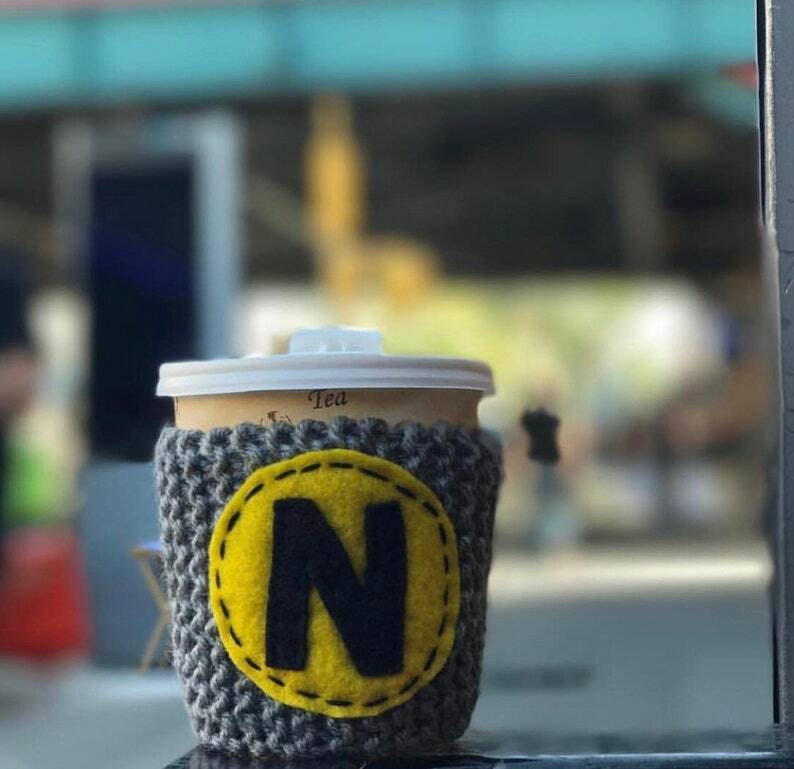 Show your N train pride with this hand knit N Train coffee cup cozy. I can make the knitted part any color you like, just ask!